At a time of turmoil and armed cenflict in many regions of the world some artists gathered together under the motto of “Art for Peace,” trying to make their voices heard all around the world. More than 100 artists from 30 countries have been contributing and supporting the project since February 2008 when a group of artists came together on a website after artist Sevgi Ürüm from Turkey had called for an initiative for peace. Since then, the project has become international and interactive with several exhibitions. 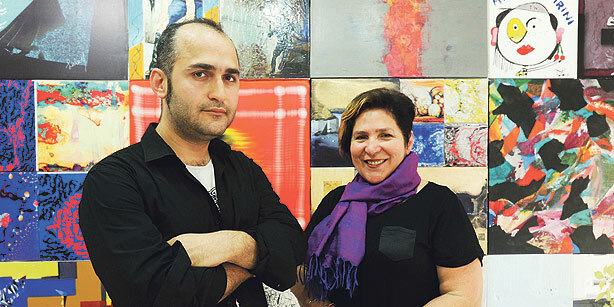 And now, the recent works made as part of the project are being exhibited in the form of a wall -- “Wall for Peace” -- at the Art for Peace Interaction Space in İstanbul’s Galatasaray quarter until July 4.